Do Collin County’s Blood Testing Labs Get Paid Per Conviction? It’s a valid question. If the answer were “yes,” would it spark outrage? 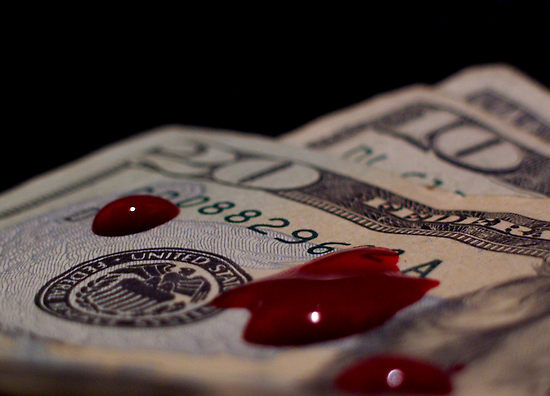 A new study shows that State Crime labs, are in fact paid per conviction. In a new paper written in the Criminal Justice Ethics journal, they found just that. What they showed is that State Sponsored crime labs get paid through court-assessed fees. In Collin County, most DWI blood test cases are tested by a DPS crime lab. Yes, this is the same DPS that issues your drivers licenses, which immediately gives pause to most intelligent citizens as to the accuracy of who is testing your blood. It is a state agency, not an independent laboratory. As part of any plea of guilty, or conviction after trial, the court assess certain terms and conditions. Fines, probation, classes, and court costs. One of the conditions being assessed in the county now is “restitution” to the DPS crime lab for their testing of the blood. Its usually in the $60-$80 range. If a case is dismissed or citizen found “not guilty,” then no fee is assessed. Admittedly I do not know how much of the labs operating budget is funded by these fees, but I suspect it is significant. Although, it probably doesn’t matter that much when the same agency that can arrest you (DPS troopers), employ the same agency (DPS) that supposedly determines your guilt through their blood testing. Let the outrage begin . . . . or not.